Are you stranded on how you can get your family back home for the elections and yet haven't received your end month salary? Worry less as Coast Bus one of oldest Bus Company in East Africa is here to sort you up. 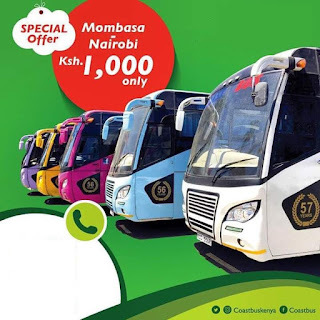 Travel together with your family at a cost of Ksh.1000 per person and enjoy the ample legroom space, reclining seats and a safe journey to your destination. See Also: Download Bus Kenya App From Play Store and Book Online Now! 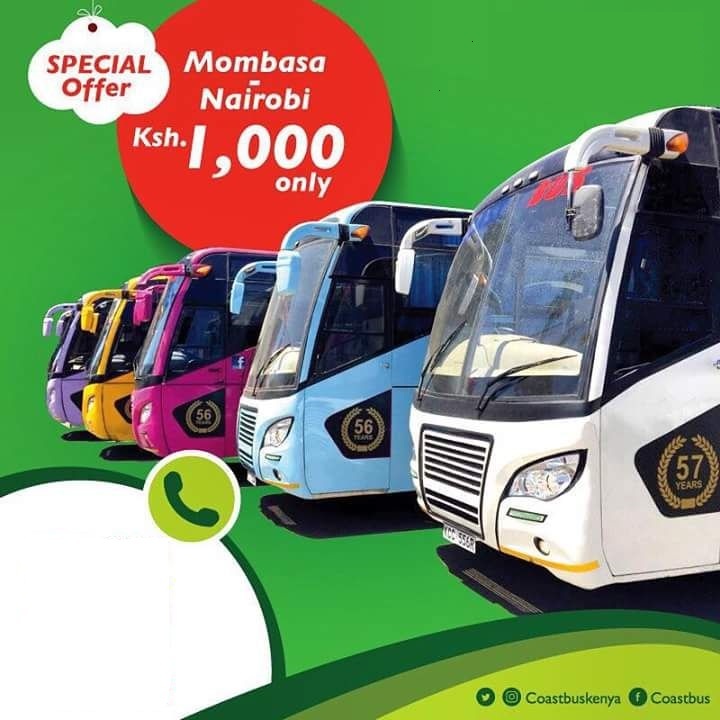 Visit Coast Bus offices at Mwembe Tayari, Opposite Kobil Petrol Station and grab this limited travel offer to Nairobi Town. Coast Bus, We Lead Others Follow..